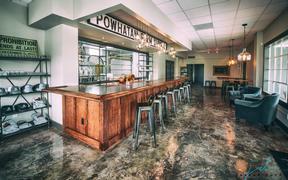 The business of booze is spilling further into Powhatan County. Three Crosses Distillery is preparing to open at 3835 Old Buckingham Road, where it will make whiskey, rum, moonshine, vodka, rye and bourbon. Distilling is something of a family tradition for Three Crosses owners Michelle and John Davenport. Michelle said her husband’s great-uncle was once a bootlegger during Prohibition and spent four years in jail in Greenville, South Carolina, for his exploits. She said John got into distilling when she got him a 1-gallon still about seven years ago. “It’s just been a hobby of John’s that kind of got out of hand,” she said, laughing. The distillery will be the second new spirits company to open the area this year. 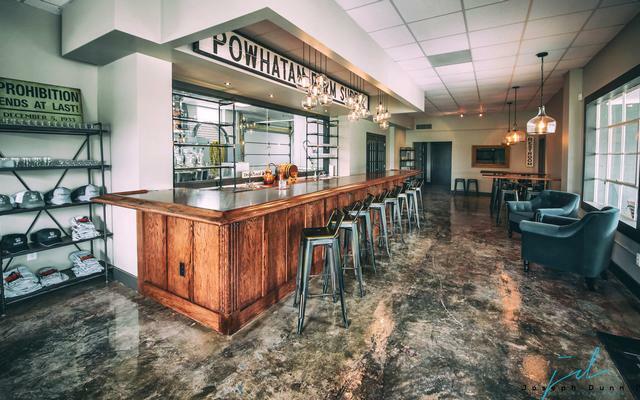 Three Crosses will open in the 2,200-square-foot space that was formerly the Powhatan Farm Supply store. Chris Larry was the architect of the project and Focus Development was the general contractor. Upon opening they’ll be pouring whiskey, rum and moonshine, and that it’ll serve some small food plates such as charcuterie boards. Three Crosses will bottle its spirits in-house, with plans to distribute them to both ABC stores and out-of-state spirits vendors. A Richmond native, Michelle said she will work full time as the distiller at Three Crosses. John will help out at the spot but remain full time in finance. She said they’ll have a staff of seven. With a logo that resembles a shield with a chevron and three crosses, Davenport said the distillery’s name comes from the Davenport family crest, John’s experience as an Army veteran and their Christian faith. Three Crosses aims to open in early August. It’ll be the second new booze-maker to open in Powhatan in recent years. Fine Creek Brewing Co. opened last year at 2425 Robert E. Lee Road.